Drivers of the Eclipse Cross are gifted comfort, functionality and connectivity with the latest technology and style. Crafted display functionality offers superior handling in this seamless vehicle. Take full control from the driver’s seat and relish in the ease of contemporary connectivity from your dashboard and mobile phone. The Eclipse Cross is crafted to impress. Its body evokes impressions with its sleek and refined shape. Driving experiences are designed with your satisfaction in mind. Sporting the latest advances in automotive engineering, the Eclipse Cross is sure to provide premium on-road adventures with matchless performance. Feel the difference of tailored detail in its unique configuration. The Mitsubishi Eclipse Cross delivers truly exceptional practicality for drivers and passengers alike. The XLS is the base model for the Eclipse Cross, but don’t be led to believe that this model doesn’t shine. Even the most basic model is entrenched in intelligent technology, luxury detail and seamless design. *See T&C's at the bottom of the page. The VRX is the ultimate model, with enhanced technology, luxury and design. The VRX provides an experience of safety that eclipses the stress of the drive, leading to an entirely enjoyable journey. Sign up to hear the latest news about it and get the latest deals. The Eclipse Cross’s high rigidity body allows secure handling and stability, the 1.5L Direct Injection Turbo Engine offers a high powered drive, and the advanced safety features guide you through traffic, across lanes and in and out of parking spaces with ease. The reduced Engine capacity of the 1.5L engine provides better fuel economy while the new Direct Injection Turbo provides rich torque, allowing you to eclipse the greater sized engines on the road. This Vehicle eclipses road dangers as one of the safest cars on the market. It carries a five star ANCAP safety rating, offering protection to you, your passengers, and those around you. Don’t let the road control you – control the road. With interior climate control keeping you at the perfect temperature, and the advance safety features keeping you relaxed, you get to enjoy the sophisticated and advanced interior that the Eclipse offers. There’s plenty of knee room in the backseat (with a slide and recline function), and a flexible boot that can be arranged to suit your needs. Revel in the soft fabric of the XLS, or the leather seats of the VRX while sitting under the Dual Sunroof. Exit or enter the vehicle easily due to the thoughtfully designed height, and the side garnish that protects your clothing from mud and snow. This vehicle, sporty in design, performance and function, offers enhanced comfort and thoughtful practicality throughout. This is a very well made car with a well-made warranty to match. 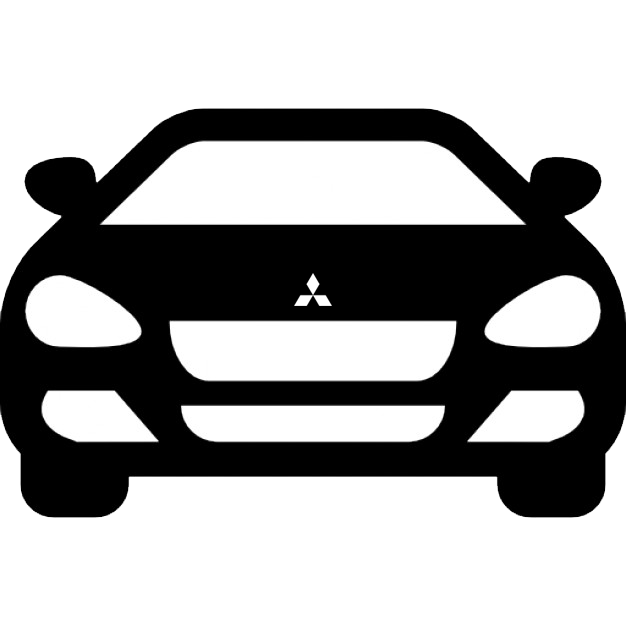 Mitsubishi offers the best new vehicle warranty in New Zealand: The Diamond Advantage Warranty. Have pure peace of mind knowing that you’re covered, and have peace of mind knowing that we can offer this kind of cover because we have complete confidence in the reliability and performance of our vehicles. Our help doesn't end with a great car for you. We go beyond, providing services that will make you love us.